Starts Fri., Oct. 9. Manor. 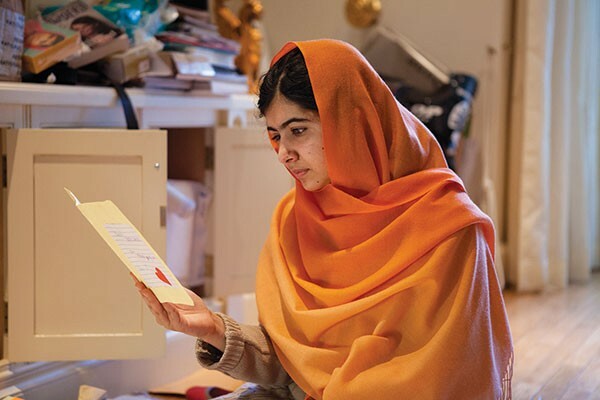 Malala Yousafzai is certainly a remarkable individual, and Davis Guggenheim’s documentary profile does a fine job explaining the events that catapulted the Pakistani teenager to the world stage. In defiance of Taliban orders, Malala attended school in her Swat valley town and spoke out about girls’ right to be educated. 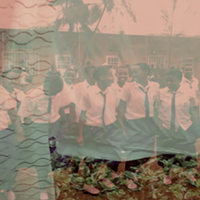 In 2012, she was shot in the head on her way to school, narrowly escaping death. She and her family moved to England, and after her recovery, Malala split her days between being a schoolgirl and traveling the world promoting girls’ education. Guggenheim tells the story in rather scattershot fashion, jumping around in time, and using animated sequences to create past events, including background on Malala’s parents. (Her father was a schoolteacher, while her mother was uneducated.) And he spends a good bit of time with Malala, who is lively, articulate and occasionally girlish. But mostly — and this is not a criticism of Malala — the teenager comes across as “on message,” conscious of her public mission and circumspect in her responses. It’s admirable for an advocacy film, which this is in part, but it does create some distance for the viewers, particularly those used to more emotionally intimate portraits. At one point Guggenheim challenges Malala on her refusal to talk about whatever “pain” she has experienced, and when she demurs, one can hardly blame her.